Yes, my wonderful husband was at it again…he made an amazing breakfast for me since I was not going to be able to eat all day due to meetings, etc. He used fresh left over liver filets from our most amazing dinner, another new liver recipe which we will post soon. 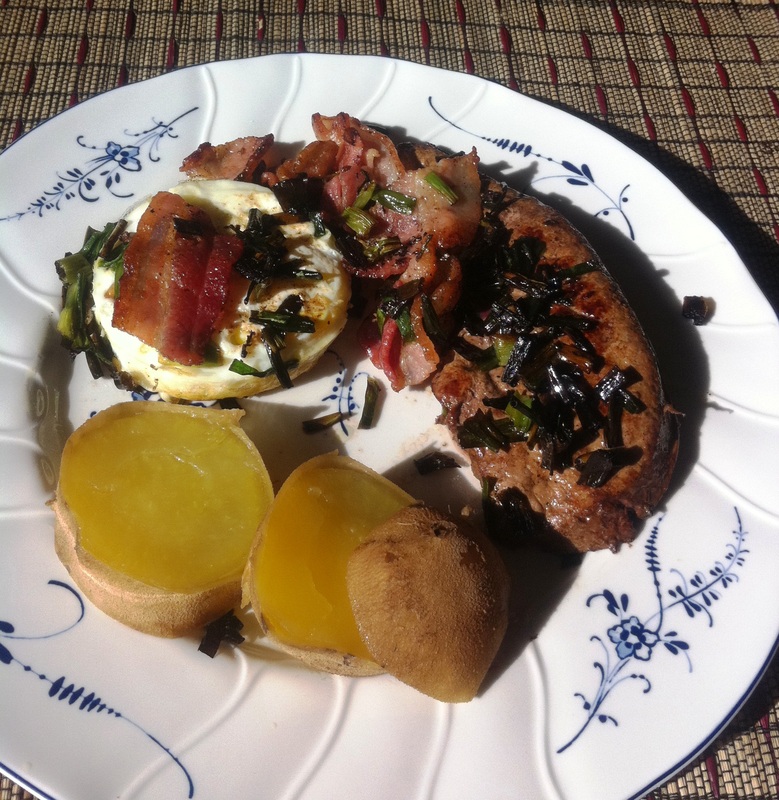 This amazing breakfast consisted of one cage free egg a perfect strip of bacon, a few slices of boiled sweet potato and an deliciously prepared slice of fresh calf liver, roasted in a few green onions. We already know that you can prepare all other ingredients to perfection, but here’s how to prepare your liver filet. In a large pan start to cook bacon on medium heat until most of the fat is rendered 3-5 minutes. Remove bacon slices and keep someplace warm. Add chopped green onion and cook for about 5 minutes stirring occasionally to avoid burning.